Ready to cast-off? 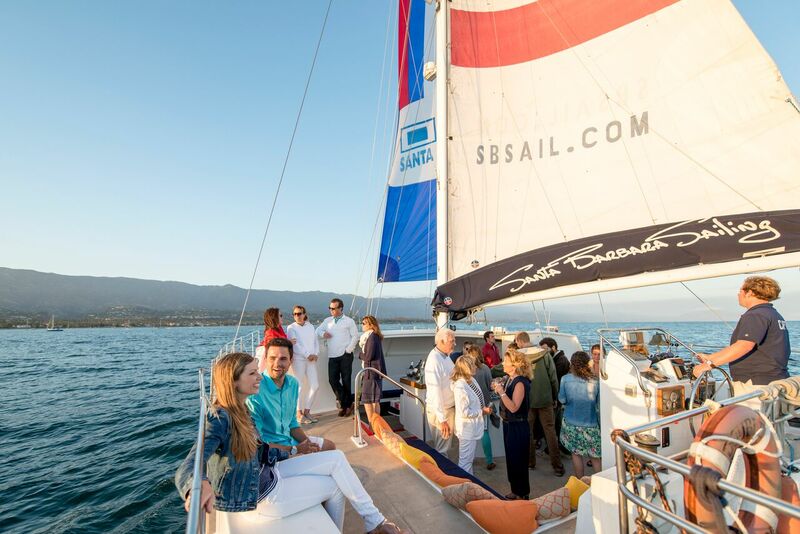 Santa Barbara Sailing Center is a whole community on and off the water, and Santa Barbara’s only all-ages concierge-level rental, charter and bareboat event center. Learn to sail, charter a sailboat, rent a variety of small sail or power boats or escape on award-winning Liveaboard Instructional Sailing Vacations to the world-famous Channel Islands National Park. Choose from a wide variety of public cruises and see oceans of marine life and spectacular coastline views. And workout or just float around with kayak rentals and stand-up paddle board rentals. Since 1967, the crew has been sharing the sailing love and lifestyle with guests of all levels of experience. Just come down to the dock and join in our 50th Anniversary Celebration. The boats are ready to go! Feel the wind. Explore new places. Raise your spirits. Ready to cast-off? Santa Barbara Sailing Center is a whole community on and off the water, and Santa Barbara’s only all-ages concierge-level rental, charter and bareboat event center. Learn to sail, charter a sailboat and rent a variety of small sail or power boats. Choose from a wide variety of public cruises and see oceans of marine life and spectacular coastline views. And workout or just float around with kayak rentals and stand-up paddle board rentals. Since 1967, the crew has been sharing the sailing love and lifestyle with guests of all levels of experience. Just come down to the dock and join in our 50th Anniversary Celebration. The boats are ready to go!